This week’s Community news also includes a food drive donation, Habitat for Humanity house dedication and event supporting military veterans. Jeff Bentley, president/CEO, and staff members at the $3.4 billion, Herndon, Va.-based Northwest Federal Credit Union present a $2,500 donation to Cornerstones CEO Kerrie Wilson and members of Cornerstones staff on Nov. 16. 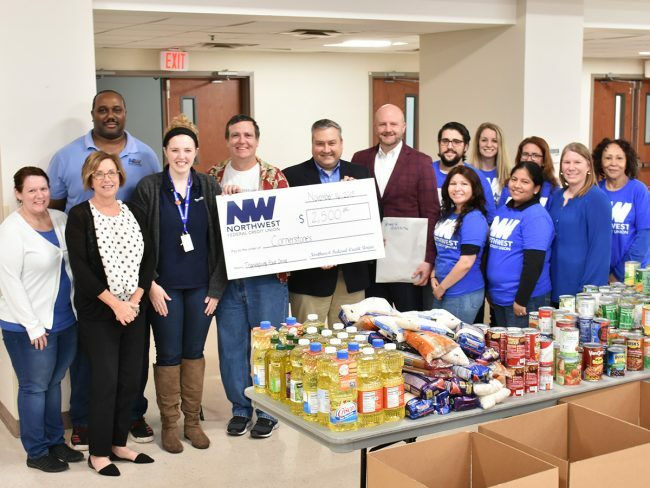 Northwest Federal recently donated $2,500 in food and grocery store gift cards to Cornerstones, a nonprofit organization that promotes self-sufficiency, to support its Thanksgiving basket food drive. The donation will feed 50 local families. Northwest Federal employees helped collect food during the drive as part of their ongoing partnership with Cornerstones.